Brewer Description: (from bottle) What do you get when a big, bold Imperial Red IPA meets an oak bourbon barrel? 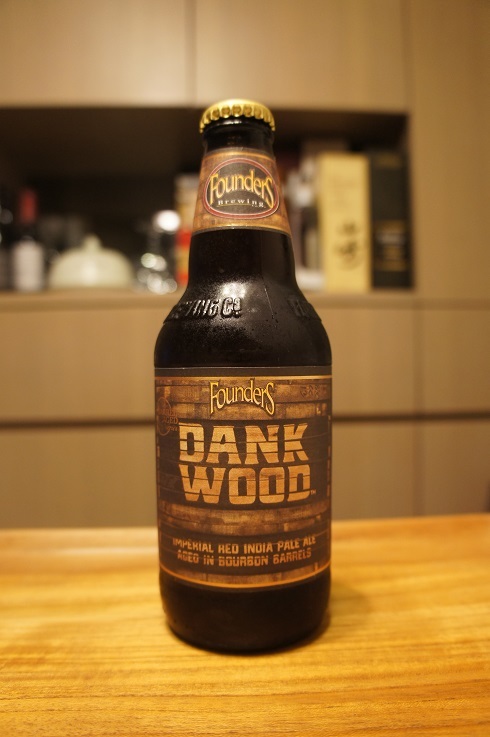 A palate stunner that’ll send your senses spinning or, as we like to call it, Dankwood. Rich caramel notes emerge from the depths of the IPA. Highlighting strong malt character while the bourbon barrel-aging develops the complexity. 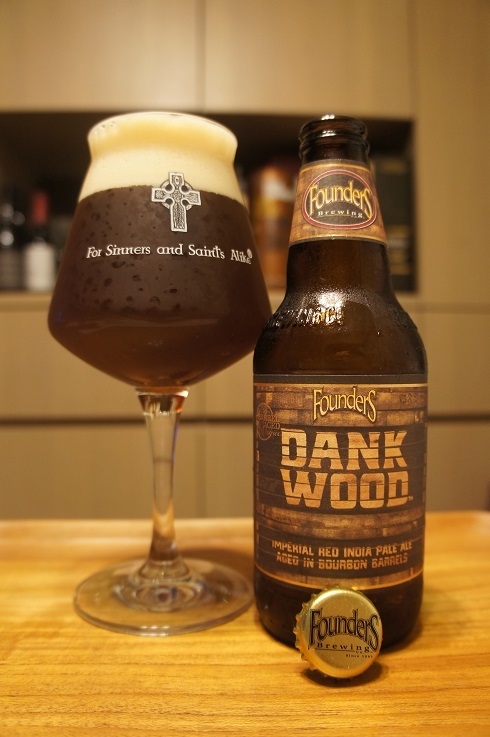 A dank, sticky and slightly sweet sipper, Dankwood is the perfect alchemy of wood and hops. Intro: A 12 fl. oz. bottle, bottled on 10th April 2018. Poured into a Lost Abbey teku glass. Appearance: An amber orange brown colour with a two finger beige head that had good retention and left lots of nice sticky lacing. Aroma: Sweet malts, caramel, orange peel, lemon juice, bourbon, oak. 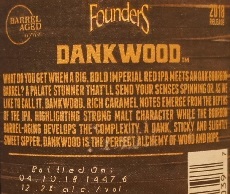 Taste: Moderate sweetness, caramel, toffee, butterscotch, bourbon, oak, lime, citrus peel, with a lightly bitter finish. Mouthfeel: A little boozy, full bodied with soft carbonation. Overall: Definitely a sipper, but I think not really my style as sweet and boozy doesn’t work too well on my palate.